The steel belt offers more than sheer strength: they’re also extremely flat and smooth, and this makes them ideally suited to the application of casting, where the quality of end product directly reflects the material on which it’s produced. 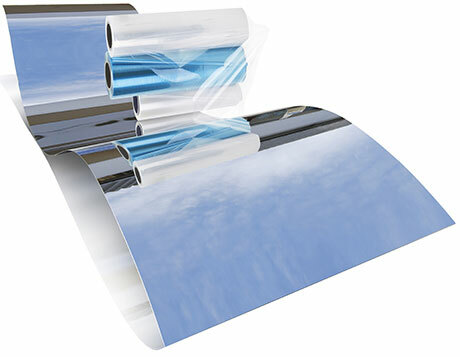 Super-mirror-polished steel belts are used in the manufacture of photographic films and film casting applications including specialist films for liquid crystal displays (LCDs) on cameras and notebooks; thin films for printed circuit boards (PCBs); filter membranes for medical use and plastic films for high quality packaging. Our super-mirror-polished belts are produced by polishing a IPCO stainless steel belt, but polishing alone cannot produce the optimum surface quality: the highest surface grades require the use of special steel materials. For the highest grade surfaces, we use a material called ESR/VAR, a steel with very low inclusion levels and therefore capable of delivering an exceptionally high-quality surface. For less demanding applications, belts can be manufactured via the AOD (Argon Oxygen Decarburization) melting practice.